castorageneve | The greatest WordPress.com site in all the land! 30 Great things about Switzerland and Geneva! 30 Great things about Switzerland…. So much has happened in our life this year and we took FULL advantage of everything that we were presented with. There is nothing that we have any regrets about and learned something everywhere we went! But back to our current and adopted country: Switzerland. Here in no particular order are over 30 things that we will always remember fondly about Switzerland and Geneva in particular. It`s small size: Switzerland is a small country with diverse regions. French in the West, German (Swiss German) in the North and East and Italian in the South. With all of that diversity happening in one small country it`s no wonder most Swiss people speak 3, 4 or even 5 languages. And getting from one side of the country to the other via train doesn`t take more than 6 hours. If you really wanted you could leave Geneva early morning and be find yourself in Scuol around lunch. Speaking of regions: Where else could you get to 26 different cantons in 1 year? Each canton is known for something remarkable in Swiss history and has their own Flag! I have no doubt that other exchange couples probably had a totally different experience than we did just due to how different each region and canton can be. French Switzerland: Renowned for their food and wine, the French Swiss love nothing better than a typical Swiss Fondue or Raclette. Their French Swiss language is a little slower (or so I have been told) making it easier for foreigners to learn than the ever so rapid Parisian French. The French Swiss also have some of their own words: septante (70) versus soixante-dix (70) in classical French, huitante (ok this may be less common but still acceptable) and nonante (90). It makes sense and is much easier for foreigners and young children to grasp than quatre-vingt and quatre-vingt-dix. German Switzerland: While similar to normal German the Swiss German Dialect is totally different! It’s Switzerland so it has to be! With their own special food Rosti (basically golden fried hash browns) you can really add anything to it that you want. The Swiss German is renowned for their punctuality and cleanliness. Italian Switzerland: Amazing, clean and friendly. If you want the Italian experience without some of the dirtiness and disorderly conduct found in Italy visit Lugano. Friends: Our new friends are all from such different backgrounds but all moved Geneva seeking an opportunity! While we didn`t all speak the same first language we all found ways to communicate and whether it was going to a movie or hanging out by the park it was great to make friends who were in the same boat as us. We also made some wonderful Swiss friends and we hope our new friendships will continue into the future! Vinathons: What exactly is a vinathon? It is were 4 or 5 vineyards open themselves up to a limited amount of the public and you walk around a course sampling wine along the vineyards! You get to see some really pretty countryside and the wine is great too. Each place is a little different and usually they give you little snacks along the way to keep you moving! Did I mention your prize is getting to pick a bottle of wine at the end? All of that for a 20 Franc admission fee. Not for the faint of heart. I would hazard a guess of around 10 kilometres minimum so bring your walking shoes! Every little restaurant, café, boulangerie and bar: While the big corporation like McDonalds exist, there is nothing better than heading to your local restaurant, or café, or boulangerie literally down the street. Friendly, efficient and quick they often strike up a conversation with you. It`s great to see that people take the time to have a coffee or espresso, instead of running through a drive through and sipping on a hot beverage as they drive down the highway. I love the fact that people take the time to enjoy the smallest things and also support the local business. Fondue: Melted cheese, bread, pickles and onions, what can I say! Raclette: Almost the same principle but grilled cheese with potatoes and the same pickles and onions. Both come with healthy glasses of Swiss White wine and shots of Kirsch or Williamine (pear flavored brandy/Schnapps) which is said to: aid digestion………. The age old which is better fondue versus Raclette discussion: At some point in your travels if you encounter and make some Swiss friends they will pose 2 important questions: Which is better fondue or raclette? Hopefully you have had both and can defend your point! A common area of defence is: potatoes for raclette tend to be lighter and less filling than the bread for fondue. Caillier Chocolate: Ok, ok, ok so Nestle bought this Swiss institution but they still make their own brand of chocolate. You can take a train called the chocolate train (no joke) from Montreux to spend some time in gruyeres, head to the Caillier factory in Broc for the afternoon and load up on Chocolate. Caillier by far and away is our favorite. They just seem to go that extra mile, like roasting the hazelnuts before putting them into their chocolate while most places skip this critical step, caillier makes no compromises. Pick some up if you have a chance. The Swiss Franc: Say what you want about the franc, but it is the only place where you can take a 200 Franc note and buy a coke in a convenience and the cashier will not bat an eyelash. I have even seen 1000 Swiss franc notes min you for later purchases and again, not problem. SBB: Need to get to go from Geneva to Lugano? Do you need tickets to a special event? Do you need a hotel? SBB does it all! They will even sell you Paris (yes Paris) metro passes. They are incredible and sometimes the line might be too long, but it is always worth it. As a side note if you are in Switzerland for more than a couple weeks go get yourself a Demi-tariff (130 francs) it gives you half off on almost all travel within Switzerland. It is incredible and some places even give you a reduced rate (some museums for example). If you plan on booking more than 260 francs in train travel get one for yourself, it will be worth it! Anyone can get one! COOP: Coop is a grocery store. On almost every corner of every town and City you can find a COOP. Some are bigger than others, some small but the one common feature with COOP that you won’t find at some other places is that they have a beer and wine selection. Also, with almost all Coop stores they have a chocolate aisle! It is something to see. MIGROS: Between Migros and Coop they basically run Switzerland! Migros is similar to Coop but tend to have larger stores and carry mostly their own brand of migros products. They also tend to have large fresh seafood and meat selection, something that coop doesn’t tend to have. They also seem to have more sale items like pizzas, and meat for a good discount. You just need to know when to go and keep your eyes on the flyers. Side note: Denner is also a grocery store but is owned by Migros. Ecole Club MIGROS: Migros the same grocery chain gives back to the community in the form of a host of activities but the best known is ecole club migros. You can take a course on almost anything from languages, to cooking at a somewhat subsidized rate. Okay language courses can be pricey but if you are looking for some solid instruction ecole migros is in almost every major city and can help you out. Plus you don’t need to have a special student status. Just enroll and learn! Actual seasons: In Geneva we had 4 defined seasons that basically matched the elementary school formulation of winter, spring summer, and fall with neither each lasting 3 months nor more. It was amazing to witness this more or less for the first time in recent memory as back home in Calgary we get winter for 5 or 6 months, fall for a 2-3 summer for 1 maybe 2 and a super short spring. Swiss wine: The rumour has it that the Swiss make wine that is of good quality but not enough for foreign consumption. Therefore, all Swiss wine is drank domestically, (whether that is true or not), I have had some good wine for as little as 5 francs a bottle and as much as 35, even more. My advice, go shopping buy a half dozen bottles or do a vinathon and taste test them! The jet d’eau: to me it is one of the coolest monuments anywhere. The fountain is alive and is never same. Sure it’s just a spout of water, but the wind changes its appearance ever so slightly and you the chance to walk out on the pier and get sprayed on a hot day. It is something to see. Geneva of course! : The lake, old town, reformation wall, the Russian church, the art museum, the UN, CERN and a whole host of wonderful restaurants, parks and bars that dot the lakefront. While pricey Geneva was a great place, and did I mention almost no hills! It is a bike lover’s paradise and walking multiple hours in a day is no problem. It is so easy to walk and get around. A great little city indeed! The Lion in Lucerne and the covered bridges: If you go, you need only look for the signs and it will point you in the right direction. One of the saddest things I have seen, it is a rock lion carved in a wall. Its lifelike realism and sadness should not be missed. It is something to see. The covered bridges are reputed to be one of the most photographed sights in all of Switzerland it is really something to talk along them and take in all of the history. It kind of makes you feel pretty insignificant. The Mountains: Mont Blanc, Matterhorn, and Jungfrau. All of them are known. All you need to do is see a picture and instantly you will know them all. Toberlerone: Okay, okay but did you know that every toberlerone is made in Switzerland. No outsourcing. 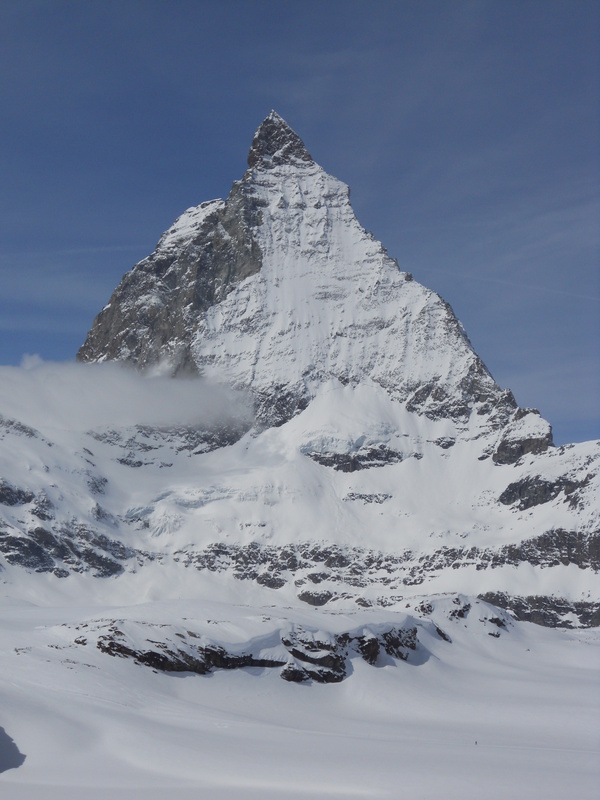 Every piece of toberlerone in the shape of the mountain (Matterhorn) is manufactured outside of Bern. Fun Fact, the state symbol for Bern is a Bear. Look at a toberlerone logo and inside the mountain you will see and outline of a bear. The Bears in Bern along the shopping street: What a great day to spend the day and check out a UNESCO world heritage site, and some really cool shops. At the end there are the bears of Bern, usually frolicking about. As you cross the bridge and fight through the tourists you get a chance to see what these funny bears are up to. Swiss people: usually friendly and welcoming, they also speak almost every language under the sun but appreciate you trying in French, German or Italian. If you ever have trouble just ask nicely and someone should be able to help you out. Waterfalls at Schaffhausen: Ok they, maybe small but they were in impressive in power as they came thundering over the rolling boulders. Lugano: Have you been to Italy? What did you not like about Italy: the lack of cleanliness? The tourists? Well in Lugano there is none of that. It is tidy, small, and friendly and surprisingly a little more affordable than the rest of Switzerland. It also has some of the more temperate weather and the Mediterranean influence is definitely felt here. Bellinzona: CASTLES, CASTLES and more castles. No trip is complete without seeing the Castello Grande. I still don’t get how you block off and ENTIRE VALLEY. A must see. Davos: in the far west of Switzerland lies a tiny town renowned for their world economic summit and Hockey tournament each Christmas called the Spengler cup. Team Canada is a regular participant and during lockout years, seeing some good talent is quite possible. This sleepy little town is in the heart of skiing and finding a hill to ski on is no problem. Combat des Rheine’s: Combat of Swiss cows done in early May. Imagine cows wrestling with their heads to figure out who will be the leader of the head, while you have a program guide and the cows are numbered and have names like, COBRA, Shakira, and lightening. 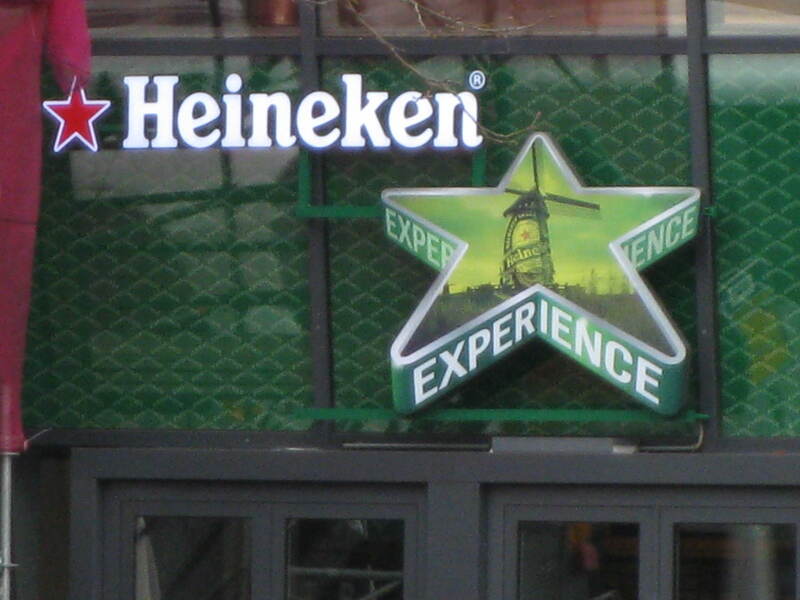 It makes for quite the experience. Des Alpes: After the cows come down from spending a summer in the mountain and eating good mountain grass they are fat and the farmers need to celebrate. Beer, wine and cheese making take place in September and it is something to see to come full circle on the cows. COWS: They make milk and cheese. The Swiss love both. Without hearing cowbells in a mountain here in Switzerland our trip would have never been complete. While this list could keep going and going, 30 plus a few extras are some of the things that we will vividly remember and never forget. Thanks Switzerland for your hospitality and letting us experience all that you have to offer. I know we will be back in the future to check up on you and make sure you are treating your next generation of guests with the same hospitality as you showed us. Making the best of 71 days! – of our wonderful year abroad to experience walking literally 60 metres to the local bakery. A small but proud boulangerie nestled in between a flower shop and a Tabac. A place where I spoke some of my first French to a native person and with some encouragement from the nice lady behind the counter, she always tries to speak French to me full well knowing that it is not my first language. I usually order the same thing, but whenever I walk by her place I get a friendly wave and a big smile. Je voudrais une petite jubilee s’il vous plait! – to walk the route that I love to walk in Geneva. Past all of the pristine store windows with watches I can never afford but secretly would sell my soul for. Past one of my favorite restaurants that always has a Plat du Jour for 17 Franc. Yes 17, that is not a typo! – to see all of the wonderful little restaurants that no matter how small they are, they always seem packed and are loaded with friendly patrons having their afternoon pause before heading home for the night. – to visit the Jet d`Eau and reflect on what a wonderful year this has been as hundreds of busy tourists pass in front, behind and beside me, blissfully unaware of wonderful this place when you take and afternoon and sit in a park to get away from the business of the city. – to visit our wonderful cathedral standing proud in vielle ville (Old Town), with the canton of Geneva and Swiss national flags flying proudly as the wind drifts softly over one of our fantastic mountain ranges the: Saleve and Jura. – Living off of the high thinking this is a dream, then after 3 weeks it sets in that it is not a vacation and you have only 49 weeks left to experience this wonderful life, to get away and immerse yourself in totally new culture. – After roughly 2 months, the high wears off, things you found awesome annoy you (small cars, scooters everywhere!) the novelty of owning a scooter was discussed at length over more than a few glasses of wine, but after seeing some terrible rain storms and the general traffic on the street it quenches the desire to buy a scooter fairly quickly! – At 4 months, the longing for home rears its head. No coincidence that it came up around Christmas? We really miss our friends and families! – At 6-8 months, wow! Look at how much we have done! Here is the part for me where I really started to come into my own, where I started to really understand/speak some French (I longer speak in Future Simple when ordering food, as if I did my food would eventually come…sometime in the future, when…..not sure). – Present day: I am speaking some sort of French! Now to getting back to the second part of the blog, I made some great friends. Friends who are in the same boat as me; their significant others, came to Geneva for the promise of a job and they up and moved not knowing what they were going to do. Hoping for the best and not being able to land a job my new comrades decided to make themselves better by learning another language just like me. From that common bond we have been able to forge a great new relationship, even though English is not everyone’s first language, our introductory/intermediate French is enough to communicate and share some laugher with one another. They say the world is a small place and the prime example I have of this is a guy I met. Clint and his wife; originally from New York he moved as his wife took a job in Geneva. Long story short, here is where it gets crazy. As a lawyer in New York he was hired by none-other than my wife’s uncle who is a lawyer in New York at the firm where Clint was hired. My wife and I are from Calgary. Her uncle is from Edmonton, Alberta. Funny? Coincidence? Overall we have 71, glorious days left. Time to relax, plan our final trips and enjoy every moment, I wouldn’t change this experience for the world. We are going to cherish every moment. Well, only less than 4 months left: Goodbye, Au Revoir, and Auf Wiedersehen (you get the point). I know we say it all of the time but what an experience. UNREAL. Since our last blog: more traveling! Being so close to so many cultural centres and amazing things (building, cities, architecture, food etc…) we have really taken advantage of the cheap European travel and relative short distances and closeness to everything. 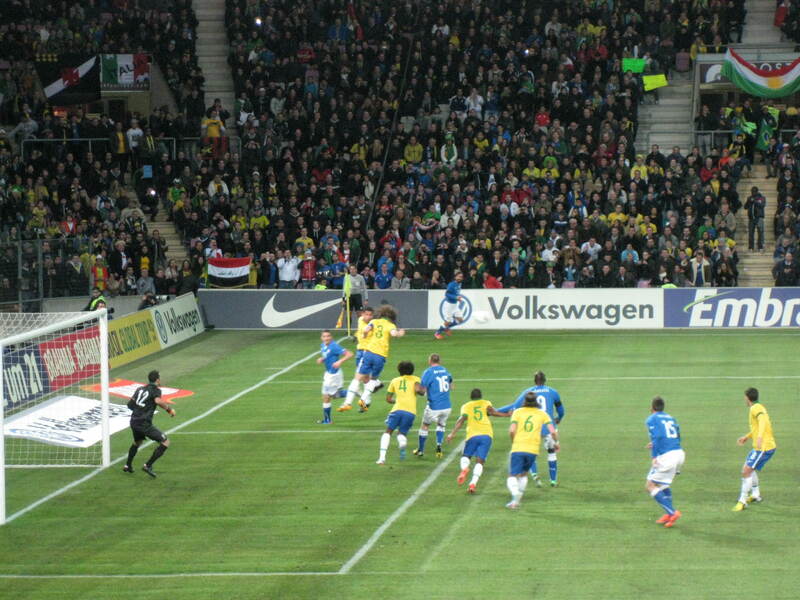 – Soccer (Football, as not anger anyone) game between Brazil and Italy. It was played here in Geneva and while it was not a world cup qualifying match it was a match that was to show case Brazil for the World Cup in 2014. The game ended in Draw 2-2, and showcased both of the nation’s big stars: Balotelli, Pirlo, Buffon, Kaka etc…. 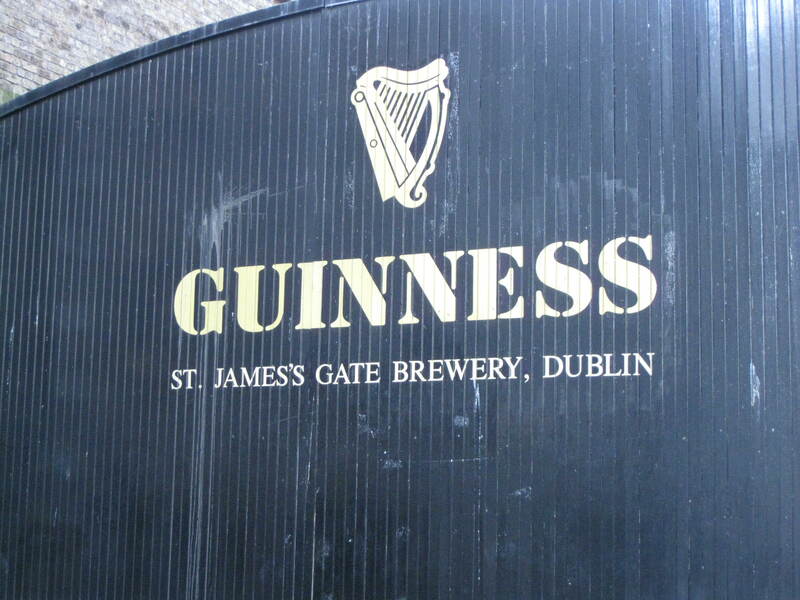 – St. Patrick’s Day in Dublin Ireland: PS tip for those thinking of going, BOOK EARLY. I would say at least a year. We booked 7 months before in a 3 star hotel and it was really the only thing left in our price range and it was more like a 2 star. It was good enough to sleep and safe, but…… Speaking of Dublin, what an experience. We didn’t have a lot of time there not more than 30 hours, but we managed to get our fill of Guinness and Jameson’s whiskey! One thing that totally caught us off guard was how many American flags there were and how many American tourists there were. I guess it makes sense due to past historical events. Dublin was super easy to get around and very cool to see this city. I would love to go back and further explore this charming and super friendly city. 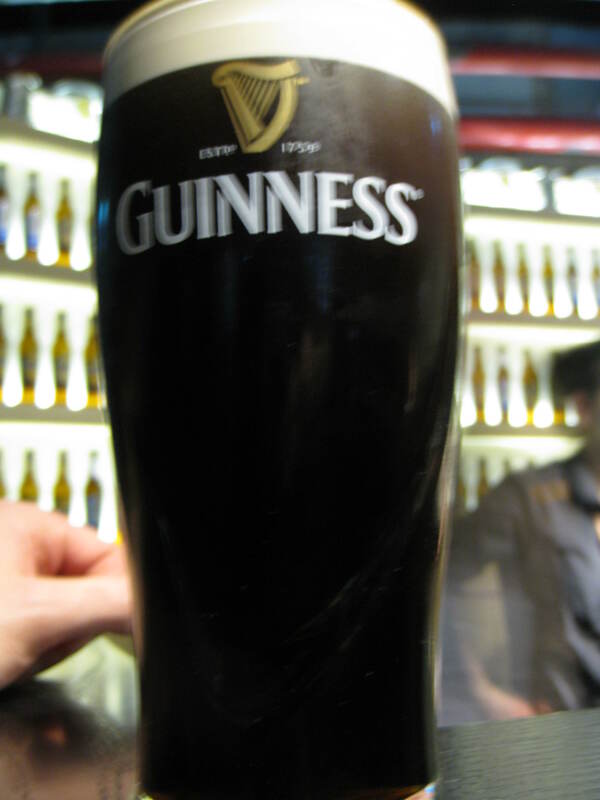 And for those wondering: a Guinness straight from the Guinness storehouse is unlike any Guinness you have ever tasted. It was a revelation in Beer. It was so amazing. It tasted full, round, and perfect if that is even possible. Quite often the Guinness I have had at home almost tastes quite smoky and almost burnt. 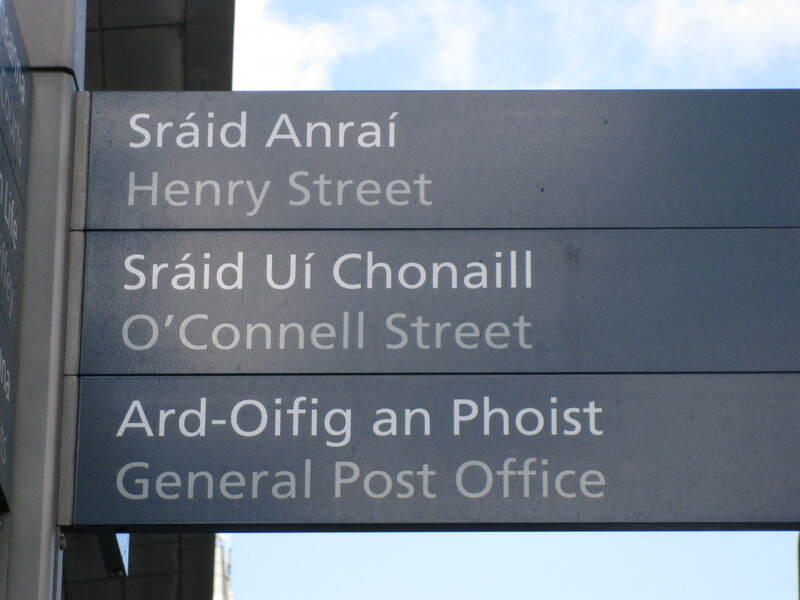 The final other surprise that we experienced in Dublin were the signs and that we encountered the Gaelic language along with English! Not surprising when you think of it, but quite different to see signs in both English and Gaelic when it wasn’t expected! 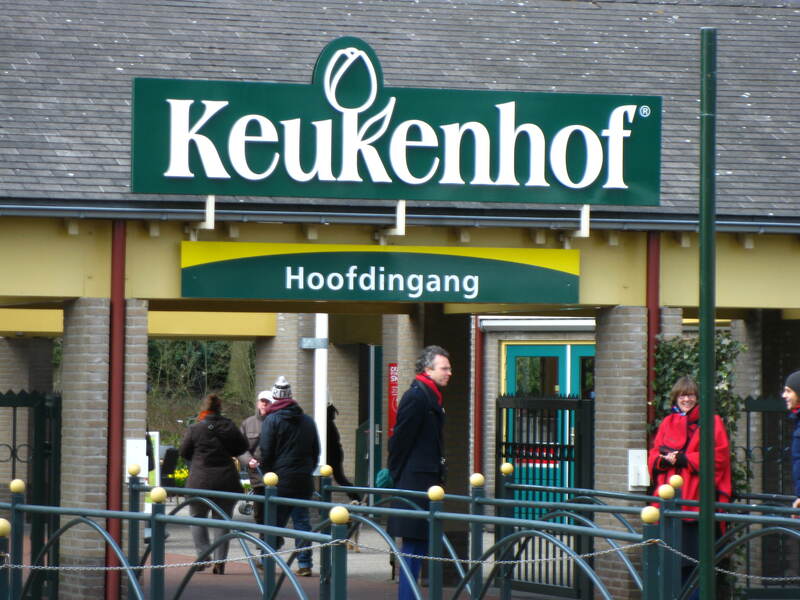 – Amsterdam, for museums, paintings and Tulips at the Kuekenhof Gardens. Amsterdam was also along the same lines as Dublin, Charming, friendly and out of all of the major cities other than the English speaking ones, by far and away almost everyone spoke English. It is not a thing we look for if people speak English, but it was quite amazing to be greeted with hellos, almost everywhere we went. 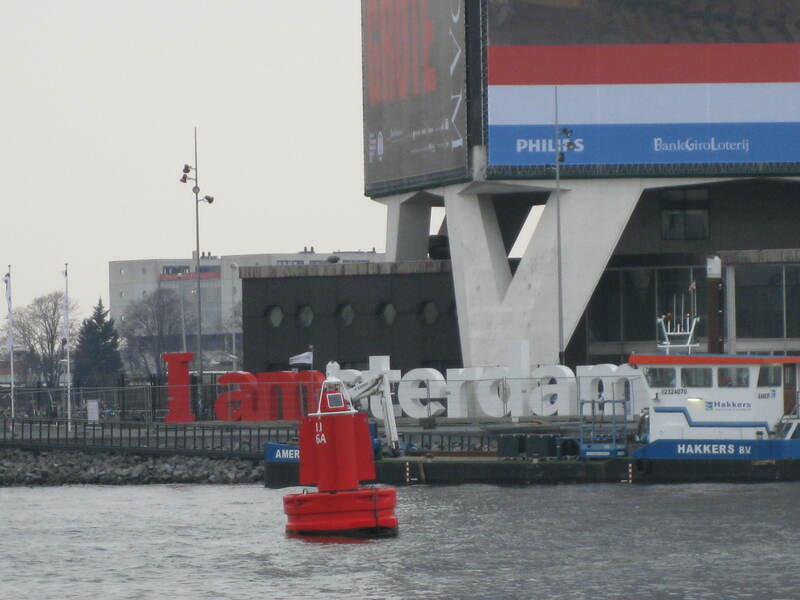 I guess a large part has to do with the tourist factor and the fact that Amsterdam is heavily visited city. I could spend easily 2 weeks getting lost in the outer, and inner canals, exploring all of the museums and amazing shops that dot all of the canals. What a great city! – Zermatt to see the Matterhorn in Switzerland. – Yvoire France. A small French village on the French side of Lake Geneva close to Nyon, Switzerland. Very pretty and sleepy a great small village with a quick boat ride across. A must see if you are in this neck of the woods and have an afternoon to kill. July and August: Summer. Nice weather hot and sometimes rainy, but during the last 2 weeks of July and first week of August are Gorgeous! 25-30 degrees Celsius! September and October: Fall, but it almost always snows around or shortly before Halloween. The last week of October we get a cold snap to minus 20 for a couple of days, then it is more temperate until winter officially arrives. November, December, January, February, March, April, and even May: Snow. While we do get some temperate weather in the form of warm air coming from the ocean over the mountains (Called a Chinook in Alberta, fohn would be the most similar thing that Germans and Swiss experienceJ). This usually only happens around February and March and those familiar with it recognize the unique cloud pattern, called a Chinook arch and headaches (seriously) that some people get with it due to the change in barometric pressure. Strange isn`t it!? And while some flowers try to peak up, they unfortunately don’t last long! Don’t get me wrong we do get some nice days here and there but it is really hit and miss. ***In March, April and even May, we still get snow! Take this year for example: Right now in Geneva April 14, 2013 it is 23 degrees Celsius, Back home in Calgary they just received roughly 8 centimetres of Snow overnight and it is minus 12 degrees with the wind-chill. OUCH. June and in May (a small part) in Calgary is spring. Up until the last weekend in May it is basically hit or miss and snow is still possible. June is when everything kind of perks up and flowers are in full bloom. We have been so thankful for the wonderful seasons we have had and the respite even though it is only for one year from the weather! It makes you wonder why anyone if they have the choice would continue to live in Canada in such uncertain weather. But I guess part of that weather is what makes us Canadian, as in April 10 degrees or even 5 is cause for Celebration and shorts weather! 6 Months and still going strong! Where o` where has the time gone? What an amazing experience. So far our trip has been nothing but positive memories and experiences. We just got back from a weekend to Bordeaux and Paris. Bordeaux was really a hidden gem. We didn’t really know what to expect and had picked a super hotel in the centre of the city. One thing that seems to be in common with all of these cities we visit is that the transportation systems are all really well integrated into the communities they serve. I take Calgary for an example and the surrounding cities of Cochrane, Airdrie and Okotoks. If you wanted to get to one of those in Canada you would need a car. Plain and Simple. Here in Europe the tram or public system is quite often integrated into those places as well. It is something we are going to miss. It would make life so much easier if they could get trains running to and from these cities to Calgary. Heck even a c-train station from the airport directly to downtown would also make for an easier way to travel. Politicians often wonder why public transit isn’t more heavily used and the argument is quite often: it’s too expensive, but if you had easy to use transit that went everywhere; it would keep cars off the roads, reduce collisions and accidents, and ease the burden on support services dedicated to road works. That’s just my 2 cents. You will never make money on public transportation, it’s a service, but if you make it easy to use and accessible everywhere not just to the CORE and outlying areas more people will take it, guaranteed. Back to our trip! The greatest thing about this exchange has been able to explore new places that we would have never been able to see in the first place. 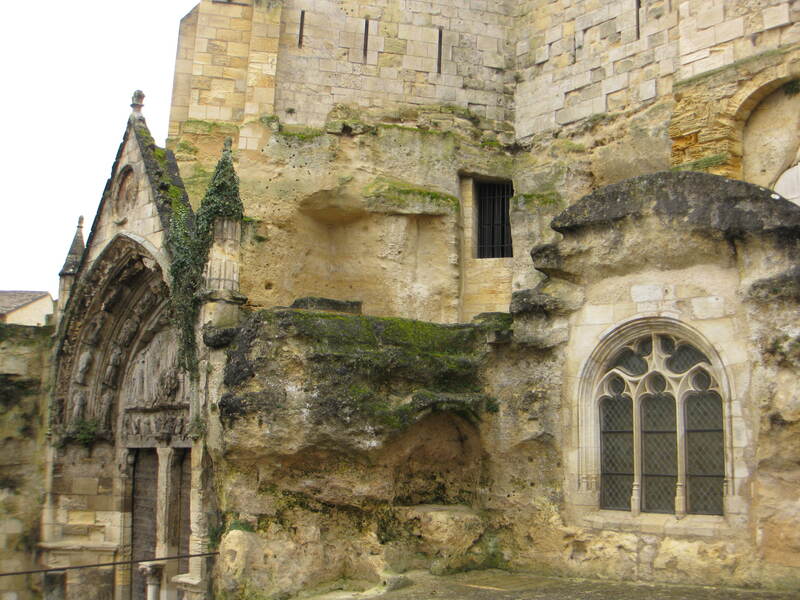 In Bordeaux (St. Emilion) we saw a Monolithic church that was started in the 700’s. Yes the year 700. Incredible to say the least. 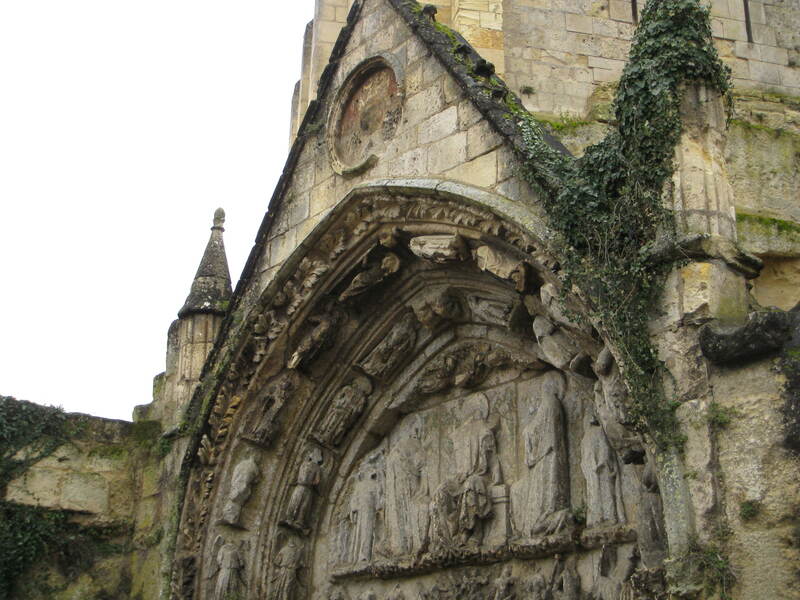 This church was carved into the ground and is actually located beneath the city. It is amazing. St. Emilion is also famous for its wine. The wine that Canada produces is good but the some of the French wine we had was AMAZING. As soon as you pulled the cork we were hit with the most intoxicating aromas of Blackberry, raspberry and Plum. I am not a wine snob, but I have never smelled anything like that in my entire life. The tour to the winery and St. Emilion was really affordable and only cost 33 Euro per person for a half day tour, with transportation and a guide included. 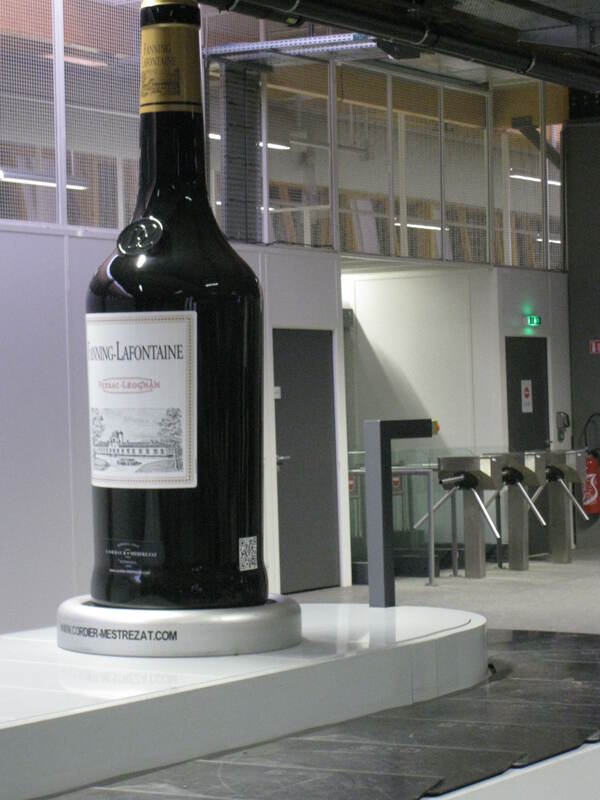 They are easily booked on-line or in person at the Bordeaux tourist office. 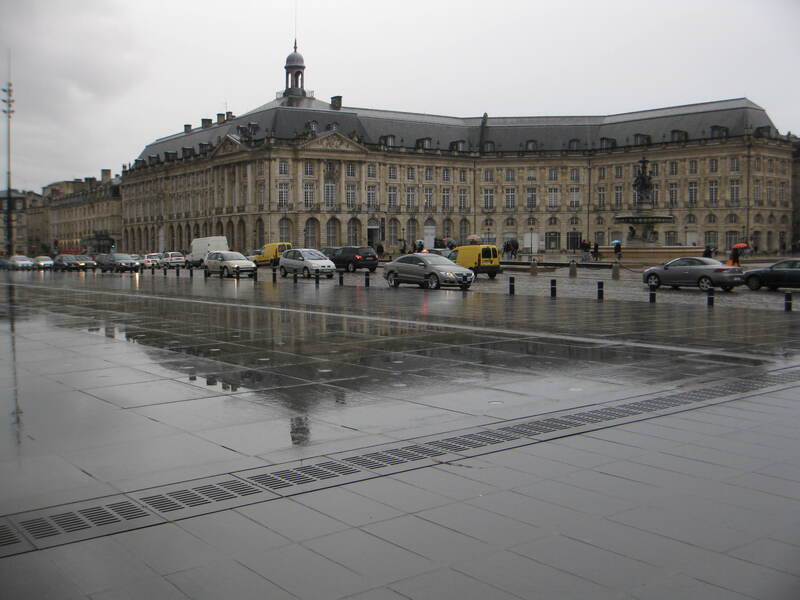 They do all kinds of tours, so if you are ever in Bordeaux head to the tourist office and book a tour, you will not be disappointed. 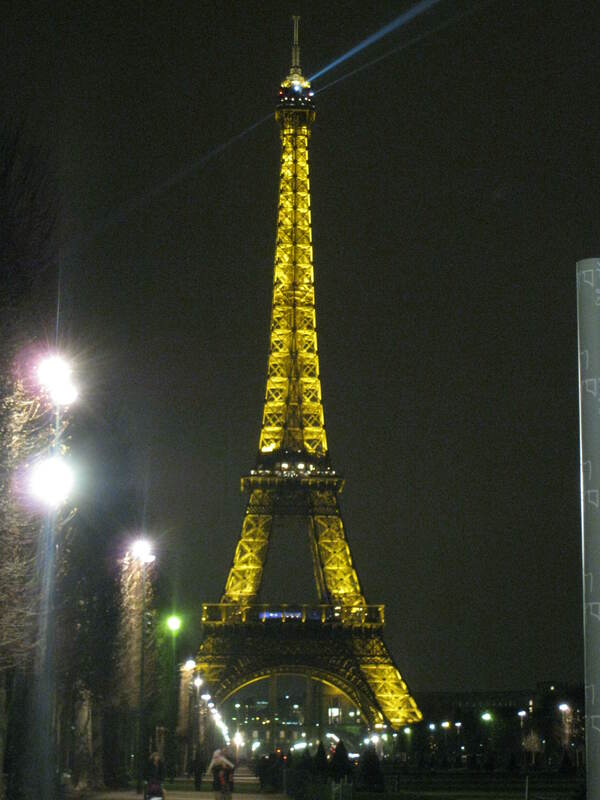 Paris, was Paris! Amazing. One thing about Paris that most people probably don’t get unless you have been is how large it is. Everything is super big and if I had to describe French style I would say: Large, Ornate and meant to stand the test of time. 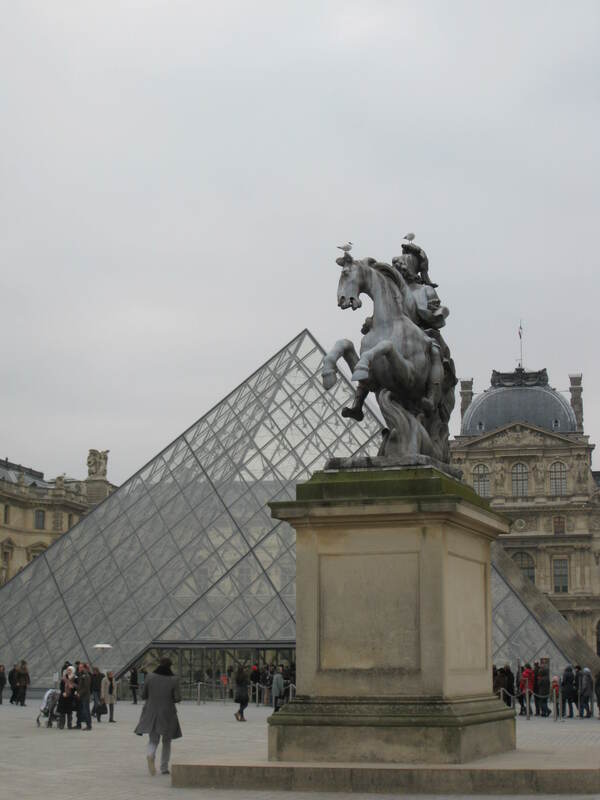 For example we were 1.8 km from the Eiffel tower from our Hotel, so we walked it (no big deal), we then walked to the Louvre and then onto the Notre Dame Cathedral and back to our hotel that is roughly 15 kilometres. We stopped here and there and had coffees, lunch, pastries, and drinks etc….but almost 15 km of walking a day is a lot for your typical North American. 1. Make sure to have good walking shoes, and a backpack with: water, umbrellas, clothes and snacks. It rains A LOT in Paris! 2. 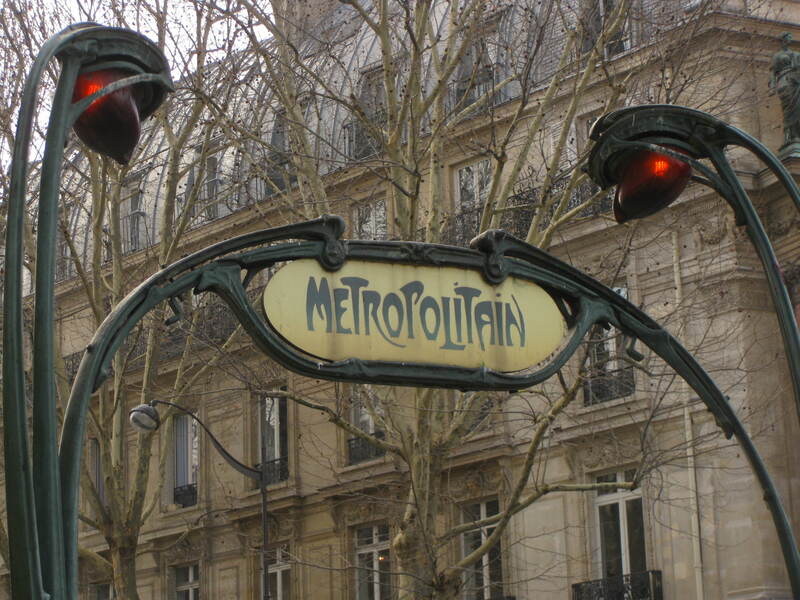 Buy the Paris day metro pass for all 5 zones. If you get all 5 zones you can also get to the Palace of Versailles (make sure to buy your ticket on-line as we got a 2 for 1 deal and we were able to skip the line and also got admission to an additional 2 chateau’s for free). The Paris pass roughly 16 Euro per day per person (you can buy this pass for an entire week if needed) we bought it for 2 days and it seemed expensive at the time, but it was worth every penny as you could also use the RER trains in Paris to get around and it was UNLIMITED. Be warned though it is only for that day not 24 hours keep that in mind. So when you buy, buy it early in the morning to maximize your usage of the pass, otherwise you will need to buy 1.70 euro tickets every time you switch metro lines. The Paris pass also gives you discounts as some places but you have to ask. Now as you may have noticed a common thread in our posts is that food and wine seem to play a big part in them. The food in Paris is generally awesome! You just have to know where to go, and where not to go. Do your research and you will find some gems, of course you will inevitably not make it to all of the planned restaurants but: c’est la vie! As a general rule of thumb, stay off the main streets, and go down them a block or so. You will know you found a good place if: French is the only option on the menu, and if the waiter greets you in French and not English. Frankly, if you are on a busy street and you see a menu for 12-15 euro, run! It’s not that it couldn’t be good, it’s just in my experience for anything good a price fix menu should at least start at around 20 Euro person, and go up for 2 courses. And Roughly 30 for a course meal. Remember you get what you pay for! Other than that it is back to business as usual. We have been in contact with our exchange partners and they are also enjoying their time back in Canada. They are really getting out and exploring the Rockies almost every weekend and are taking advantage of the wilderness Canada has to offer. Once again this exchange has been an amazing experience and continues to deliver day after day. As winter has descended upon us in Geneva, one thing we really notice is that as the seasons change the seasonality of the produce, meat and overall food seems to change as well. In fall for example you would see a lot of wild game meats (Boars, Deer, Elk, and Rabbits etc…that would be labeled as: Chasse on the menus). As fall gave way to winter, the heartiest of Swiss Dishes came out: Raclette and Fondue! Both are equally as tasty and there is always a discussion around the table asking all which do you prefer: Fondue or Raclette? Fondue to for those familiar has many variations. In Geneva there is the classic cheese fondue which comes in an array of different mixtures and concoctions ranging from: champagne, mushrooms, and truffle all of which are cheese variations, other styles are: Fondue Chinois, which is no cheese but a bouillon broth (usually beef) and you wrap thinly sliced meat around your skewer and dunk it in until cooked, vegetables are usually present ranging from mushrooms to broccoli and cauliflower. Fondue Bourguignonne is with HOT OIL. One word of advice about Cheese Fondue is that after the last of the molten cheese has been soaked up, the bottom of the pot gets a thick layer of cooked wonderful salty cheese on the bottom this is called the: la religieuse. This is sacred! Most good fondue places will ask if you would like it to which you should reply: YES! They will take the most ugly of tools (usually a paint scraper) and put the pot on the top of their knee for leverage and scrape the crusty cheese off of the bottom of the pot, then will return it to you for your consumption, it is a rule that everyone gets a piece. IT IS AMAZING. Raclette is much simpler and there is really only one way to do that. First, you need a good Raclette cheese. A burner of some sort, and you put the cheese on a tray and melt it until it is nice and crispy, you then usually have small boiled potatoes and pickled onions and pickles with it. There is also something called Raclette Spice (no joke) which is sold at the supermarkets and consists of paprika, nutmeg and a couple other spices and dried herbs. It is really quite nice and if nothing else adds a little red color to an otherwise fairly “White and Tan” colored looking meal from the cheese, onions and potatoes. In the short time we have been here we get the impression the Swiss place a high emphasis on quality ingredients. That’s not to say Canada doesn’t do the same, but with the same old supermarkets that are larger than some schools, you can get anything anytime of the year. It really is quite shame, as food doesn’t seem as revered and special as it should be, it’s too convenient to get what you want when you want. For example something that I never really saw when we arrived in summer and even in Fall where ingredients for a dish called Paupet Vaudois. It uses a special type of sausage called a: Chou Sausage. The closest thing I can think that we have in Canada would be a Farmer’s sausage (Winkler Brand from Manitoba carried in most major supermarkets if you are curious). The sausage is braised in a pot with water, 1 beef bouillon cube, Sliced Leeks, diced potatoes, a couple of diced onions, a pinch of salt, pepper and nutmeg and finished with whipping cream. Some people will add some wine in the braising of the ingredients in the pot, which is quite nice as well along with a couple of bay leaves. Below is a recipe. Enjoy! Happy Belated new year and 5 months to us! With the start of the New Year upon us a couple of new things: Winter finally came to Geneva! The otherwise rainy and grey Geneva got covered with snow and a blast of winter (-10 degrees Celsius at the worst though). It almost made it feel like home back on the prairies. Oh well, I am not complaining as the snow is starting to melt away, and no doubt the persistent rain we have had most of the time will return shortly. Christmas and new years were a great time, my dad ended up coming over and he got exposed to Swiss way of life, he ate: Fondue, Raclette, Chocolate and even bought a tax free watch! 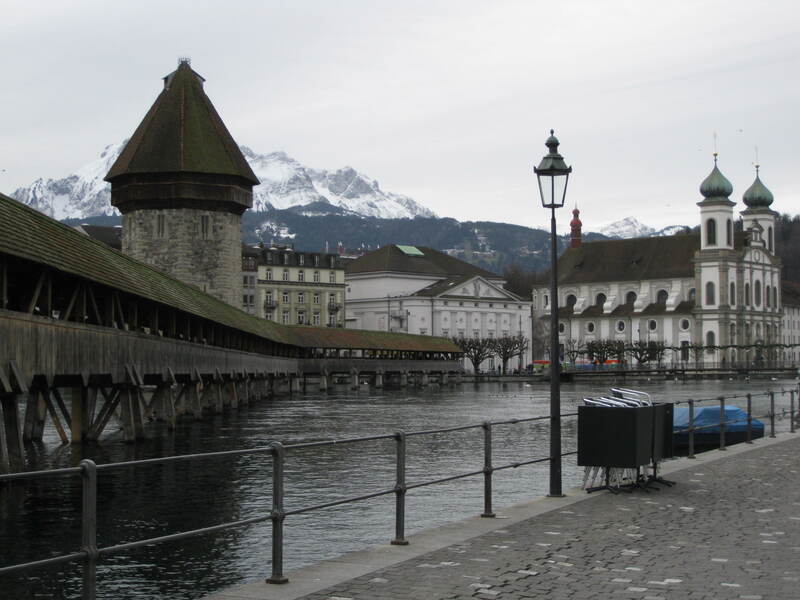 Now as for the cultural and sightseeing things we ended up doing…..
Lucerne is an absolute gem of a city. It`s age old Chapel Bridge and adjoining Water Tower (some of it still standing from the 1300`s) Is apparently the most photographed sight in Switzerland. The bridge had these amazing hand painted pictures (the bridge burned down in 1993, the paintings are replicas), along with a castle off in the distance on the hill. 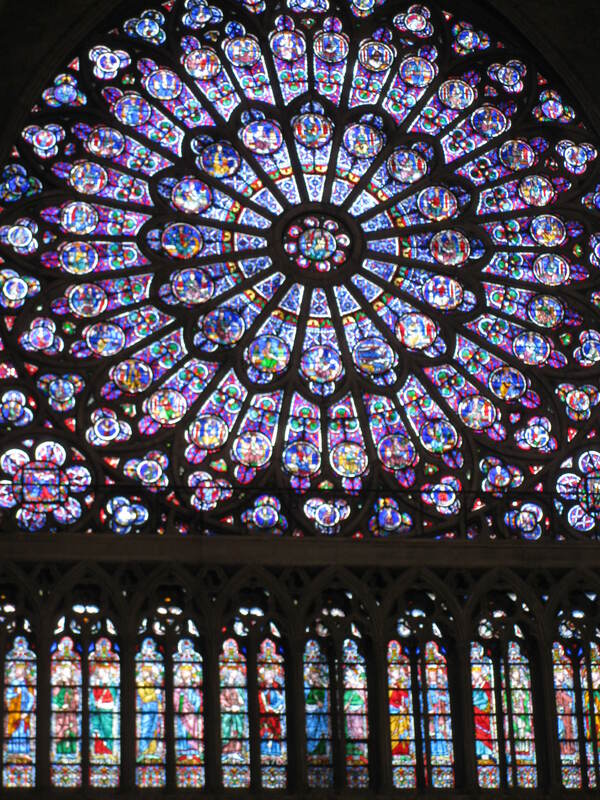 Gorgeous and worth seeing. All of the shops that lined the streets were packed with the typical Swiss goods, but they seemed to be reasonably priced so that was nice to see for a change. 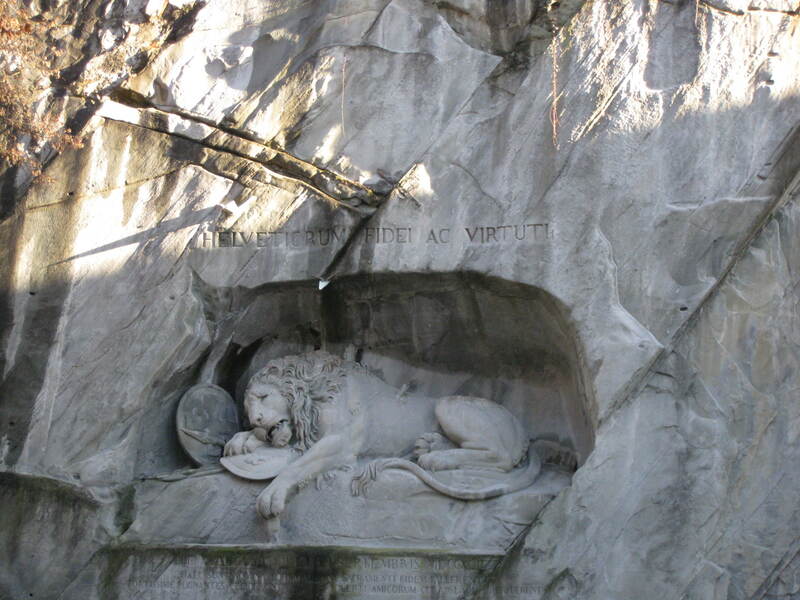 There is an amazing monument of a lion carved into a rock face with a natural spring commemorating Swiss Soldiers who fell in battle during the French Revolution back in 1792. The lion was even visited by Mark Twain and he called the Dying Lion: “the saddest and most moving piece of rock in the world.” It really was something to see, and the detail that was carved into the rock really does convey a sense of sadness. After a day in Lucerne we continued onto the snow-capped mountains and Davos! Getting to Davos took roughly 3 hours from Lucerne, but it was well worth it. We had a few train changes along the way but we got to ride around, through, down, over top and on the sides of mountains the whole way! 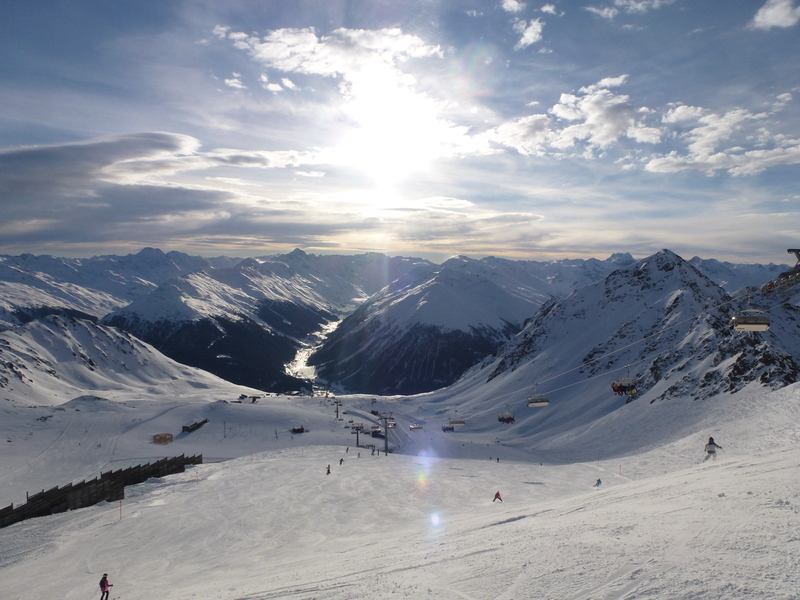 It was a super journey and on upon arriving in Davos, we finally really got a solid taste of the famous Swiss Mountains. They were white and pristine and the sun shined bright, but all of the while there was a cold bite to the air just to remind you that it was indeed still winter. We ended up renting an apartment back in late August and it was almost too late. Accommodation is quite pricey. If you are thinking of going to Davos BOOK EARLY. 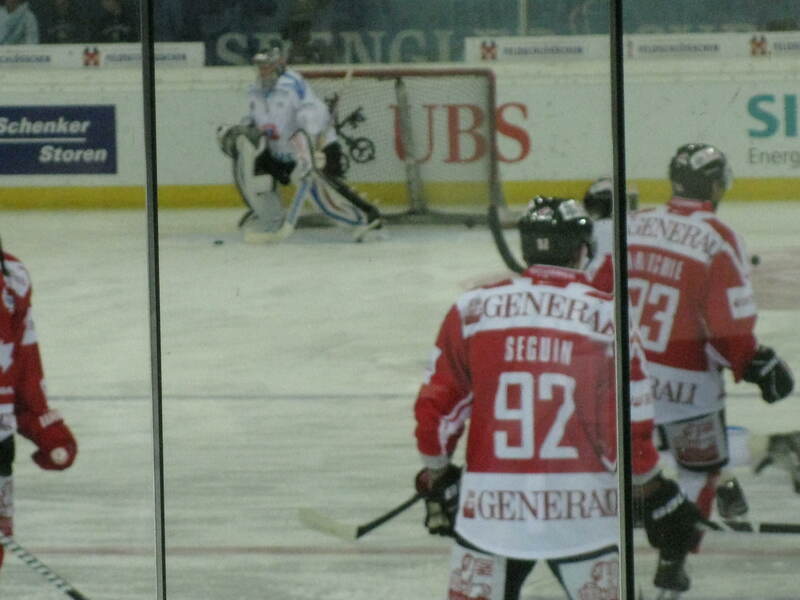 The reason we wanted to go to Davos was for the Spengler cup. It is the world’s oldest hockey tournament going back 87 years. I am not sure how they decided who participates in it or not but HC DAVOS is always a mainstay of the tournament and so is Team Canada. The other teams vary from country to Country, and this year it included: 1 Russian Team, 1 Czech team, 1 German Team and another from Switzerland. The format is pretty simple with divisions of 3 teams, each team play 2 games minimum to decide seeding for semi-finals. Then they are third games for those who don’t make semifinals, and finally there is a final game. Team Canada was the odds on Favorite to win due to the lockout. Canada had some good names: Smyth, Seguin, Bergeron, and won the Tournament over the Host team HC DAVOS 7-2. A very small arena but a gorgeous building. 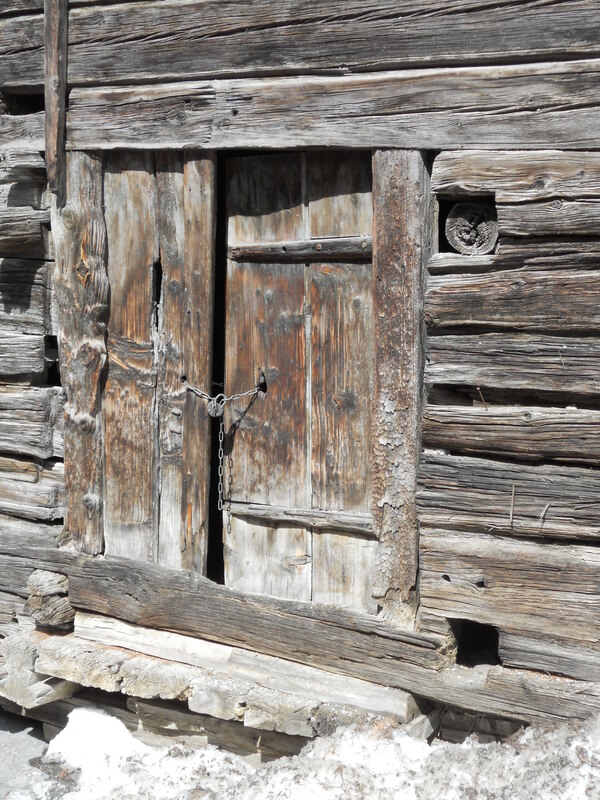 It is almost all entirely constructed of Wood and it really has a life to it. There is limited seating which makes the atmosphere really personal and intense! There is only room for 6,500 people. that’s it! The one downside and something not seen at an NHL game is they do standing room tickets at one end of the Rink. At this end the arena packs in roughly 2000 fans (guesstimate!). You are literally one on top of the other, and like a rink back home there would be stairways to get beer, go to the washroom etc… NOT HERE! I am not exaggerating. People go 1.5 hours before the game to get a front row standing, and the ushers pack you in! You are a sardine. It was so difficult after standing 1.5 hours and then seeing the first period and then second is almost ready to start and you want to sit to sit for 20 seconds but can’t, and you still can’t move. I am ashamed to say it, but we left before the second period and sat in the beer tent less than 25 metres from the rink. It had a good atmosphere and other than the 5 second TV delay the Beers were cold and you weren’t stuck shoulder to shoulder! Much better IMO. New Year’s in Switzerland is something most people I think leave out when they talk about Switzerland, it was amazing. They start to sell fireworks (maybe 1 week before). From what I understand you don’t need a permit, just common sense. It started at 5pm, with fireworks going off intermittently then with a few minutes before midnight and until roughly 12:30am the skies erupted all around us. We were literally in the middle of explosion of color and light unlike any fireworks shows I have ever seen. All of this just done by ordinary people with matches and lighters. It was an amazing sight to see and if I am around for another New Years in Switzerland I will participate!!! Davos itself is built on the valley floor, but don’t let that fool you. I say this as it is a Skier’s paradise. There are multiple ski hills with trams in the town itself. Skiing and getting to the hill has never been easier. For example, we walked 200 metres from our apartment to the ski rental, got our skis and walked 25 metres to the tram up to the Parsenn Ski area. IT WAS AMAZING. I am not sure what is with me but I have only been skiing 2 times in the last 6 years, and both times they have been on some sort of Alp, Austria in 2006 at Kitzsteinhorn and Switzerland in 2012. What can I say???? A perfect day. Roughly 0 degrees light wind (if any) and clear blue sky. It was something to take a modified bus on rails roughly 1,500 metres up to a final elevation of around 3,300metres. From there, I have never seen a resort with as many lifts and as extensive as this. It was very pricey 70 franc for the lift ticket for the one hill but you could purchase a pass to the adjoining hills (119 Franc??) and even ski to the adjoining village and take a tram back up the hill to your arrival point. It was amazing. You could spend a whole week there and not even break the surface of all of the runs. The snow left a little to be desired as it hadn’t snowed in a couple of days and it was all groomed and packed, but that is just fine for someone who doesn’t get out much. After a day of skiing, we hoped back on the train for our 6 hour journey back home. What a way to spend the holidays!! We didn’t rest for long though as we had another engagement in Nuremburg in Germany! For our visit to Germany we rented a car. Let me tell you something, if you rent a car in Switzerland and drive to Germany, you are in for a treat. The Swiss treat driving with a seriousness and respect. The Germans do the same, but you do so at speeds of 140 kilometres or 160 km/h and at that speed at times you are just keeping up with traffic!! It was great! In Switzerland if the limit is 100 you can go 105, but at 106 you will be blinded by the flash of the speed cameras. Speeding in Switzerland is treated as almost a terrible unforgivable crime and you have to obey all posted sign and laws. If not you pay hefty fines lose your license. Anyways, we went to Nuremburg for you guessed it…HOCKEY! We got to see 2 of Germany’s Elite League teams: The Berlin Ice Bears, and Nuremburg Ice Tigers. Nuremburg the City is great. They host every Christmas the famous Christmas markets (which we just missed) but the city also has a lot of wonderful things to see, such as their famous churches, medieval castle and their eponymous sausages: Nuremberger Sausages. They are skinny and roughly no more than 3 inches long and pack a lot of flavour due to the amount of herbs in them. They are a quite tasty and not something to be missed when visiting this city. As for the game, it was an outdoor game in a Soccer stadium and 50,000 hockey mad Germans, who got a great game. The host team won 4-3, but not before they gave the crowd a heart attack and let Berlin get a late goal with 30 seconds left, and then let Berlin press the last 30 seconds. The German League took a page right out of the NHL’s playbook for how to host a winter classic and delivered on all fronts, right down to the fireworks at the end and the bands playing before and after the game. One band in particular called: Boss Hoss, is a German band, but they sing top 40 pop songs and some oldies in Country Music style. It was something to here Outkast’s song: Hey Ya, done with a honkytonk, bluegrass country feel, but they did a great job! Check them out on you tube. They feel almost like they belong in a Tarantino movie at some point. As for the rest of 2013, we are taking it easy right now. We are excited for our trip to France and we can’t wait. I have been keeping busy with my French classes, and upped my daily dose of French to everyday for 4 hours a day. It’s been a tough go learning French and I am still fighting every day, and improving little by little. At the end of this if I can understand more than I came in with I will be a happy guy! New Experiences once again. Well it has been awhile since we last blogged! It is amazing how quickly time flies. Since our last blog we have been able to get out a little bit more and experience more of our adopted country. Along the way we have seen some pretty neat things and have encountered some Swiss idiosyncrasies: ‘Swissness’ (as we like to call it). The biggest Swissness we have experienced is Swiss people are very friendly, and one thing that tends to happen though is unfortunately information is not really provided as it would be back home in Canada. We have had more trouble getting directions and information. Directions are usually very short and to the point. Be prepared for this when you come! In Canada (we at least feel) you do everything short of telling people directions and giving them information. In Switzerland you need to be very precise and ask directly: How far is the Train Station from here? Which streets do I take? Is a taxi faster? etc….Back home someone would be able to tell you what to do from your first question! It’s an interesting thing we have noticed along the way. 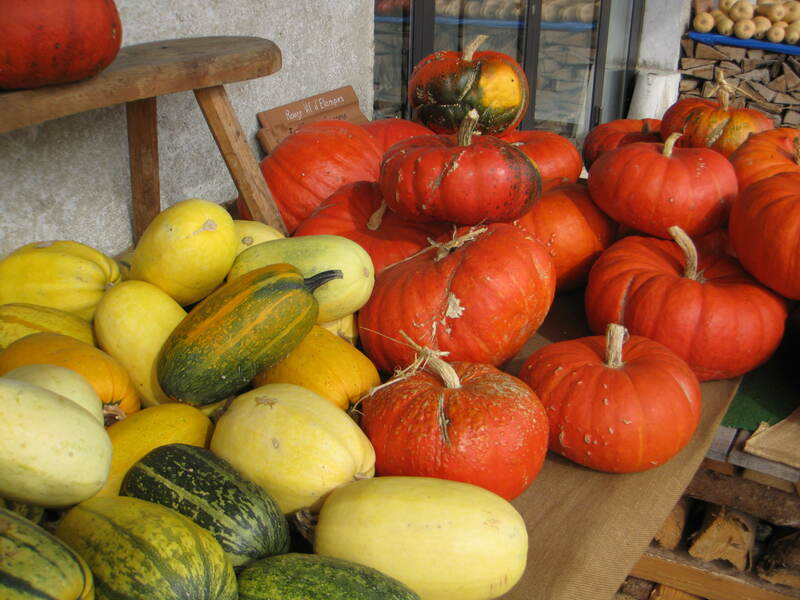 Some other things we have had a chance to participate in are going to a pumpkin patch in Solothurn. Overall the Swiss German part of Switzerland is cleaner and a little nicer than where we live. We LOVE Geneva, but the Swiss German part seems cleaner and is more orderly. 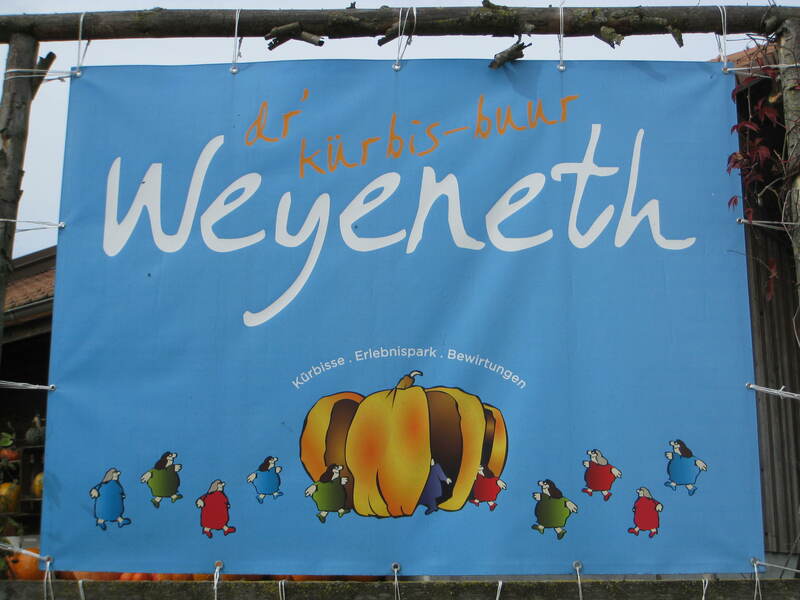 The pumpkin patch was wonderful and we were able to buy a pumpkin for our Halloween celebrations. Overall, Halloween is not a big thing to celebrate here. We invited some of our Swiss friends over and made some Halloween treats and even dressed up. We think they had a good time as they even got into the spirit things. See pictures below! We also as we talked about made it to Munich and Rome with my in-laws. For those of you who haven`t had a chance to visit Rome or take advantage of the cheap flights, I suggest to do so! We had an awesome adventure and Rome is a gorgeous city. It is so far my absolute favorite city. 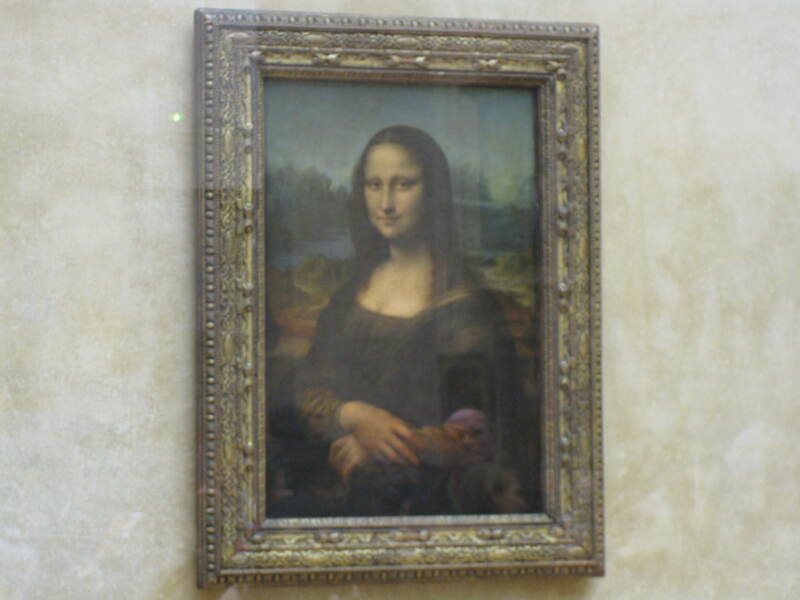 I really don`t think anywhere else has the history and the ability to make you feel so small and awestruck. Every corner there is something new to see whether it is the Basilica, the Sistine chapel, or the coliseum (to name a few places). Rome is a wonderful city. Munich is also beautiful but quite different. Munich has that sense of German efficiency and order. From the BWM factories to the Schloss Nymphenburg (an opulent 18th century castle) and of course their famous beers in 1 litre mugs and don’t’ forget the Bretzels (Pretzels for us North Americans and Schnitzel!). The first half of November was a quieter month to be sure, but we really enjoyed a few weekend closer to home. After the first weekend we had a friend from Canada come to visit. He stayed for the weekend and then moved on. We made it to the UN and Chateau Chillion, A famous castle close to Montreux. The last half of the month led us to Stuttgart to visit our friends and of course Lionel Richie. Lionel Richie does an annual show in Stuttgart (apparently) and is a big draw; he played to roughly 10,000 loyal fans, and played all of his hits and even some from his Mo-town days. For those who are not Lionel Richie fans he was in a little band called: the Commodores. It was something to say the least! The following weekend we made it to London to get ready for our friend’s wedding and try on our wedding attire. That night we had fish and chips and then made it to James Bond! It was something special to see a James bond movie in London. Recently, we went to Montreux and enjoyed the Christmas markets. It is really something to see the markets with all of the people milling around getting into the spirit of Christmas. It really makes you wonder why there isn`t more of this in Canada. Why can we not have markets with artisanal goods and drinks and things to eat? The mulled wine (Gluhwein) is something to try and is amazing on a cool winter’s day. The one thing about Europe compared to Canada is that there is more common sense in Europe. For example at a Christmas market you can have a glass of Mulled wine and walk around visiting the stalls. In Canada, it would be in a cordoned off area where only people 18 and above would be allowed. In Canada there is no way you could get outside the bar or beer garden with a drink. In Europe they realize you would need to be 16 (in most cases) to buy alcohol so what is the big deal if you walk around outside or not? In Canada, this would not be possible! It’s something that is so small and back home it would be a big deal. I think after being in Europe for this 1 year the one thing that will take adjusting to is the common sense factor or the lack of that people in Canada have and the fact we need a rule for everything. Europe has shown me that if you give the citizens a measure of self-control they will respect it and honor it. Does it get abused? Sure, but I don’t think it is any worse than what we have back home. In Geneva they have an interesting event called Escalade. See link below. http://www.1602.ch/ It is a Geneva event only and all of the kids get dressed up (think Halloween). There is a famous tradition of breaking a chocolate pot and eating marzipan vegetables. I won’t even take the time to try to explain what happened as I wouldn’t be doing it justice, but please read the link if you are interested in learning more about this interesting festivity. While it has been almost 60 days since out last entry it feels like just yesterday when we have arrived. I have made some sizeable leaps when it comes to my German and French lessons, but I am still not confident enough to put together sentences for strangers! I am confident it will come in the next 8 months though. I am also enrolled in a more intense language course starting next year. I am excited for it and it should be a great time. 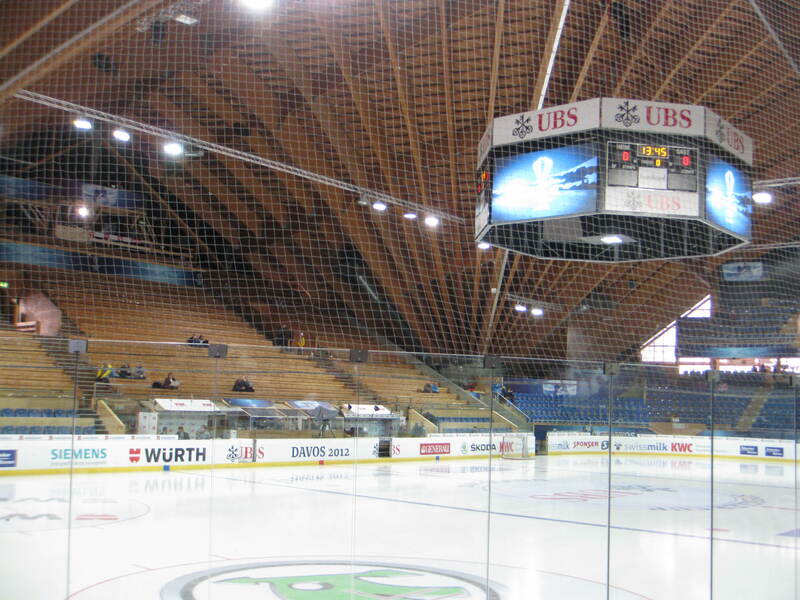 With Christmas upon us we confirmed all of our Davos trip and even the trip to Nuremburg for the outdoor hockey game! We also planned another trip during the February week off and are going to visit France, specifically Paris and Bordeaux. 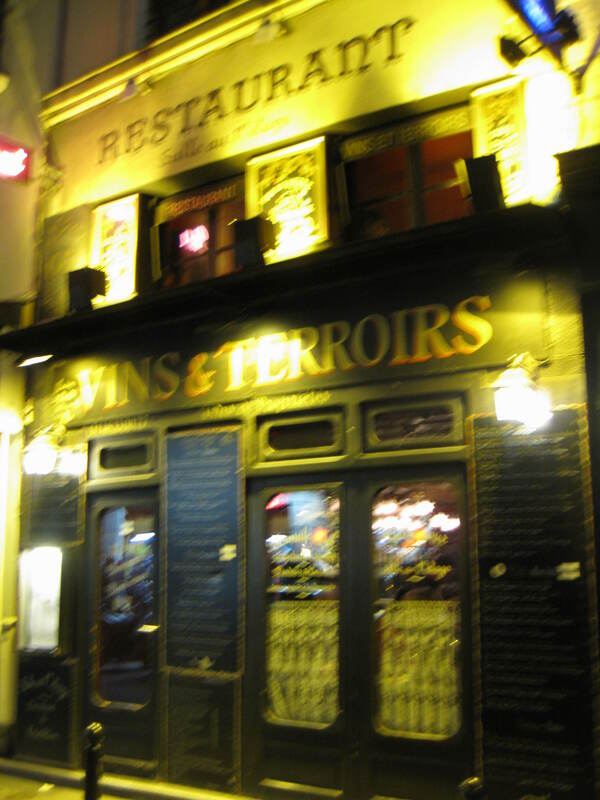 It is my goal to get some wonderful French wine and eat some great food! We also hope to visit the beaches of Normandy and pay our respects. No doubt that part of the trip will be the most sobering experience, but isn’t this exchange is what this is all about, new experiences? We think so. The Other Half – Our time in Geneva from a stay at home Spouse! Today marks the first entry in what I hope to become many entries on mine and my wife`s experiences as an exchange couple to Switzerland. First of all, I would like to start by thanking the support and resources from back home specifically: Carolyn Freed, and Michelle Wildhaber. Without all of your help to “grease some political wheels“ along the way things may have never got off the ground! It has been a long process and this has been something that both of us were looking forward to for so long! We definitely love every moment; and have had some ups, downs, firsts and hopefully lasts! Aug. 1, 2012??? Right around this time we had not had any confirmation if we had been accepted. We had talked to our exchange partners and they had received their documents and papers in mid-July. Now in the back of my head I was freaking out…literally. Mainly for the reason being, I work in Human Resources, I have had to deal with enough work permits, SINS (social insurance numbers), and so forth to know that the processing time for the Canadian government runs anywhere from 8-16 weeks. The fact that our counterparts had all of the documents so early, roughly 8-10 weeks in really scared me. We had emailed the Swiss embassy a few times to check up on things and were politely told to be patient and they would contact us. We did insist a couple times if there was any way they could check on the status and we were told due to the different levels of government that this was impossible. This sounded quite strange to me so after about 20 minutes of googling J “application times in Switzerland for visas“ I was able to find an email and number for someone at the federal level: A real person! I emailed them and explained my situation and within 24 hours, we had tracking numbers, and a status update that our file was: ON HOLD. On hold? After receiving this email, we sent off further emails, to Carolyn, Michelle and anyone else that was important or copied on those emails. It was very important for us to find out if we could even enter the country as we had flights booked and confirmed for August 17. Roughly 1 week came and went before we got an email from Mirelle, Michelle’s director. She informed us there had been what equated to as a: “miscommunication” and we could enter the country! We then entered the country on August 18, 2012! BUT……..
For those people from Canada as part of the exchange I know you probably have lots of questions like: Didn’t you submit documents in Canada? Didn’t you submit 3 copies? Yes and Yes. But as I mentioned with our File being on-hold, there was something that was missing on the canton level between the levels of government. We never found out what it was, other than we were approved on a Federal level. We were promptly served and dismissed by the teller. I won`t go into details about how many visits we did, but long story short it took a few visits and we have all of our paperwork and are legal to stay in the country! Our exchange partner set us up with her friends and within 3 weeks we have been to and stayed in Bern, went to the: des Alpes (a cow fighting and cheese making festival in a small village, followed by a real proper Raclette (with potato, pickles, onions, and Tea). We were then, welcomed and treated like honored guests at their house, and drank copious amounts of Swiss wine and Apricot Schnapps. We have a great exchange partner! Thanks Floriane. Off to an international exchange outing! This was planned and organized by members here in Switzerland. They organized a marvelous outing to an Asphalt mine. As part of our tour they also arranged for a special dish prepared on-site at the tour. An Asphalt baked ham with all of the accompaniments. This Ham is prepared at the local restaurant which is also on the Swiss Absinthe Trail. Absinthe is liquor made with Star Anise (a very fragrant smelling herb think, Black Licorice) but it is also accompanied by a whole host of other fragrances. For a small fee you can sample and even buy a bottle from the knowledgeable salesman. It was a great lunch and a great tour. We even had a chance to visit a small town close by called: Motiers not Moutiers! Here it is the home of Jean-Jacques Rousseau and a sparkling wine producer. Regrettably, lunch took longer than expected but, such as the case when you engage in good conversation! Chocolate train! You really have to experience it to see what it is all about. On this tour you leave from the historic city of Montreux, none other than the city which has a statue dedicated to: Freddy Mercury, lead singer of a “little band” called Queen. On this tour it was where we got our first typical tourist images of Switzerland. High mountains, dotted with small villages and cows roaming freely with the slight echo of cowbells. Here we arrived upon our first destination; a cheese making factory and a small town called, Gruyeres. (This is the same place where Gruyere cheese is made!) Here you learn about the making of the cheese and are even given a small keep sake to eat on the way back. Once the cheese tour has been completed, you are then whisked away by bus to the Chateau de Gruyeres. The castle overlooks the multiple valleys in all directions and is absolutely beautiful. (Side note: have you seen the movie Alien? Aliens? etc…. if so; there is a Museum dedicated to artwork of the Aliens. The connection? HR Giger. Who? The man who designed the creatures in the movie series created a museum in this town with the help of some other collaborators. The entry is: 12.50 Franc for an adult. If you are a movie buff, it’s an interesting tour for sure!). After the Chateau tour, you have time to have lunch, what better way to spend your remaining 1 hour or so and have a fondue on the streets of village Gruyere. It is really something to partake and almost ritualistic in nature. After viewing the beautiful Chateau in the distance you can see a small village where there seems to be a flurry of activity within it. This is the village of Broc and home to the Callier chocolate factory (owned by Nestle). Hopefully with full bellies (but not too full) you travel by 15 minutes to village Broc, within 500 metres of the Callier Chocolate factory you smell, the rich dark earthy scent of fresh Cocoa. As you step out of the bus, you “blank out” to what your tour guide says and just follow your nose to the regal and pristine white Callier façade. Immediately you are greeted and split into groups of roughly 15. A pleasant tour guide greets you and explains that the tour itself is automated and there will be cues for when you are supposed to move from room to room. As you enter the first room it’s almost like a Willy Wonka’esque experience. Doors open from behind and around you, guiding you through the tour. Along the way you get to see and feel the raw Cocoa. Finally, you arrive in the tasting room. Here you get to sample as much or as little as you would like to whet your appetite for chocolate showroom, where you can purchase any of the delicacies you just tasted. Overall it was an amazing day! It helps us that 2 of our closest friends live in Stuttgart. They keep us in tune with what is happening in the “big canton” (Germany) as the Swiss call it. They make sure we don’t miss out on anything important in Germany. Things like: Volksfest! This is second biggest beer festival in the world next to Oktoberfest. It’s really great having friends close by to suggest new things for us to do! Volksfest was an amazing time, with great friends, we had the chance to sample some of Germany’s favorite beers and sing some traditional German songs. Trip to Rome and Munich in October with Julianne’s parents. Lionel Ritchie in Stuttgart on November 24! “Hello? Is it me you’re looking for”….can‘t wait! Then off to London for the first week of December with our friends in Stuttgart as they are getting married in August 2013. We are in the wedding party and need to help with dress and suit shopping. Davos for Spengler cup in Davos (Dec. 26 – Dec. 31). Team Canada should be awesome with no NHL! Can’t wait. My Mom is coming from March 28-April 12. Amsterdam with her for 4 days to visit the Keukenhof Gardens. Friends from Calgary May 6-20. They are up for anything; nothing planned at this point but I’m sure something will come up! Julianne’s youngest brother Luc and Girlfriend coming in June. Then we have rented a villa in Marbella Spain for almost all of July. (It’s great having a wife who is a teacher;) yes it will be hot but……Canada is cold. Finally London, for the wedding in 2013. We are so blessed to be in a central location that allows us to see the world! Everything so far had been awesome! This is an experience we wouldn’t trade for the world. While Julianne keeps busy with school the important thing for me is to settle into a healthy routine. What keeps me busy is a mix of: my courses (French and German) at: Ecole Migros, which I highly recommend. The shopping, trip planning (which can take up more time than you know…) and just things around the house are all important. I’m thankful that while I would love to work I am in a place where we can afford to take this time to reflect and focus on what is important (my wife and friends) and enjoy life. I may never get another chance like this! PS: I am reading a great book: Swiss Watching by: Diccon Bewes. It’s done by an English travel writer who lived in Bern. It’s all written from an outsider’s perspective that now lives in Switzerland. It is a super entertaining read, about life as he sees it amongst the Swiss. It covers everything from chocolate to cheese, to politics, banking, and everything in between. I wish I had heard of it beforehand and had a chance to read it. It would have helped! Below are “some” websites that have HELPED SO MUCH! They range from travel booking sites, to courses, to booking tickets. I hope it helps someone or gives you some ideas of things to do with the family or friends that come to visit. All of the above are not a comprehensive list, but depending on what city you are based in (Geneva in our example) not all carriers will fly from Geneva to Stuttgart for example. Either both places are too small or there are no reduced fares left (I’m guessing!). We have had to play with multiple websites to find the best deal and sometimes, don’t forget it’s best to check the websites of the carriers so check: KLM, Lufthansa, Condor, Air France, and British Airways to name a few. While I am sure there are a couple more to use for specific rail trips in Switzerland, SBB really is king. As an FYI if you plan to do any sort of travel by train purchase at the very least a DEMI-Tarif card. It gives you 50% off all train travel in Switzerland, whether it be public in Geneva or across the whole network but only in Switzerland. It costs 135 franc per person, and you need to get some photos done as well. They had a booth outside the train station, and the photos cost 8 franc for 4 photos. The Demi-Tarif lasts 1 year from date of purchase. It’s really worth it if you are going to do any sort of traveling within Switzerland via rail. This above heading and list could go for pages. In my opinion though, no matter what site you use, use tripadvisor to check the review before booking ANY Hotel or Hostel. The reviews are all done by people who have actually stayed and I find them usually fairly accurate. Hostels can be quite affordable, but check with friends and family members if they are ok with sharing sleeping arrangements in a room with 8, 12 even 20 other people and sharing bathrooms too! Most people squirm at this fact! Most hostels will have separate accommodation (rooms for 2, 4) with their own bedrooms. These tend to sell out quite quickly though. And one final tip, as a money saver, try to look for places that have a free breakfast included. It might not be a 3, or 4 star breakfasts consisting of: bacon, eggs and pancakes, but at the least it will have cereal, coffee and some sort of yogurt and juice and bread. It will keep you going for the better part of the morning until lunch and be easier on the pocketbook! This website really kind of ties everything together! Done by Switzerland Tourism they have deals about travel and ideas and can book hotels etc…. Really an all-in-one website! So with the NHL lockout coming down upon us, the top tier guys will/probably be looking for a place to play! Switzerland is an attractive market for NHL players due to the super easy travel schedule. Switzerland will no doubt attract some of the NHL’s best. Also, worth mention is the Spengler Cup. It is a Swiss tournament where selected club teams face-off against team Canada! Usually you don’t get Canada’s best players, but with the lockout this year, you can probably expect more than a few of the top guns will don the red and white. The tournament is played in DAVOS, Switzerland. Tickets on sale October 1, 2012 and more tickets will be released November 28, 2012. The Schedule has been released and games run from Dec. 26, 2012 to Dec. 31, 2012. Davos is super expensive to stay in and can be tough to reach, so I would try staying in Klosters or if you are really in a bind, you could stay in Zurich and with enough planning and time, train it to Davos for the start of the game. Chur is also a possibility to stay at. I hope this initial blog was not drawn out. Apologies for it not being posted sooner than we would have liked! A first hello from Harold the moose.